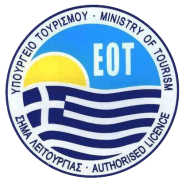 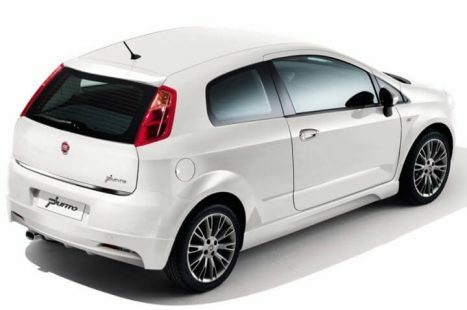 Upgrade your stay and transportation in Thessaloniki and Halkidiki by renting a Fiat Punto 2017 model. 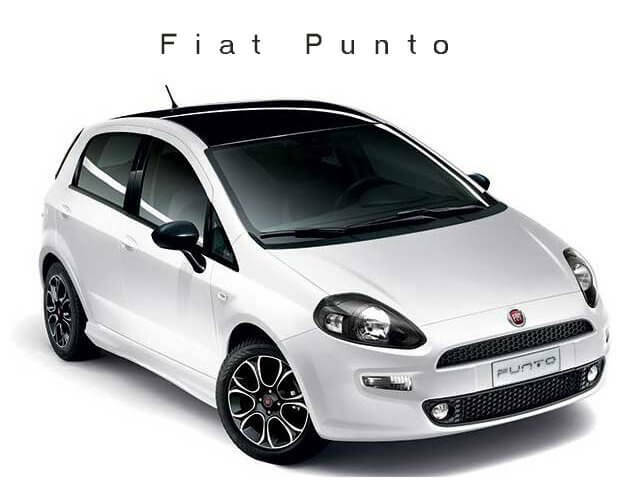 Rental rates for a Fiat Punto start at 13€ per day! 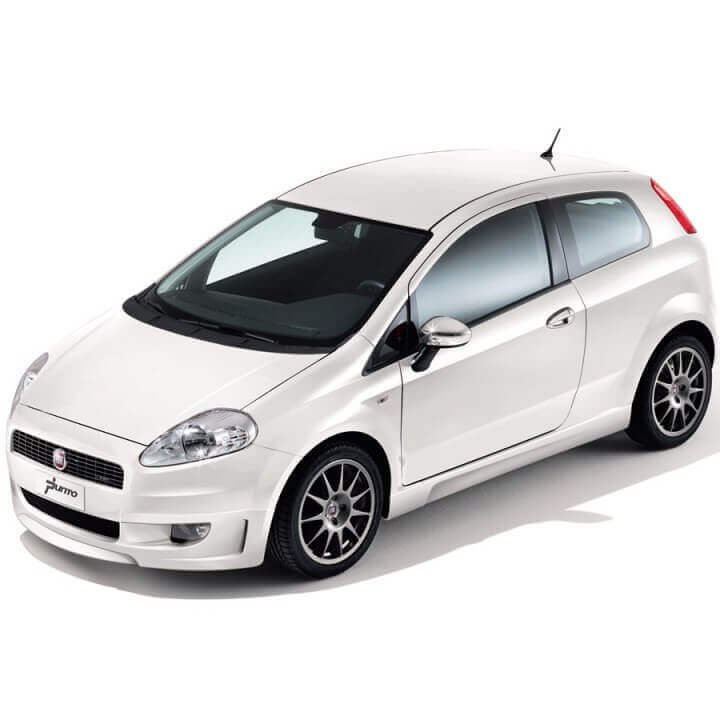 Renting a Fiat Punto car is a fantastic choice for travelers looking for a spacious, affordable but beautiful car. 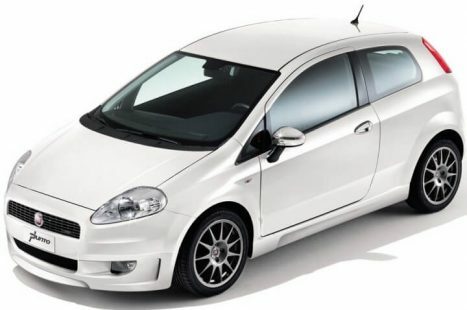 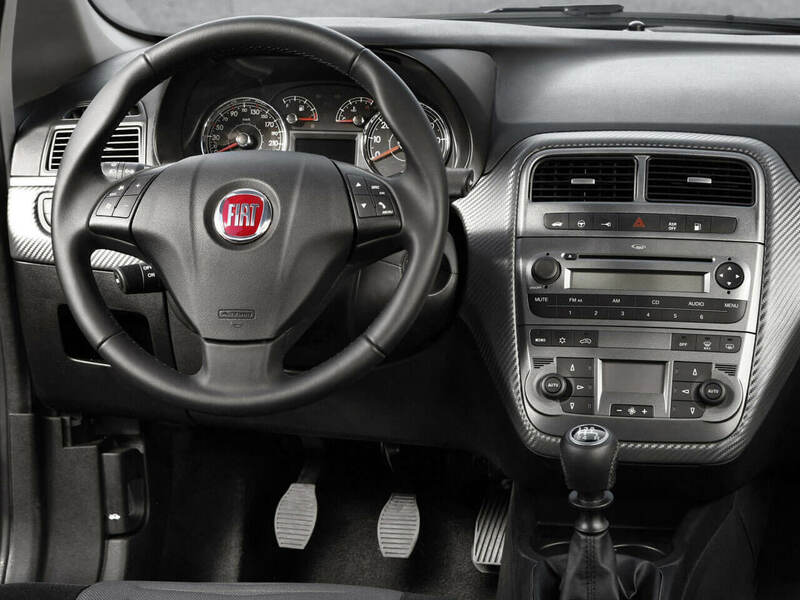 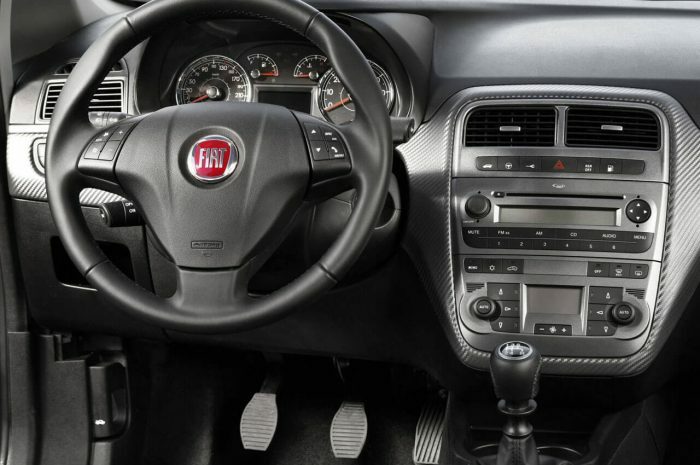 With average consumption ranging at 5.4 l / 100 km, the Fiat Punto is one of the most economical cars in the class. 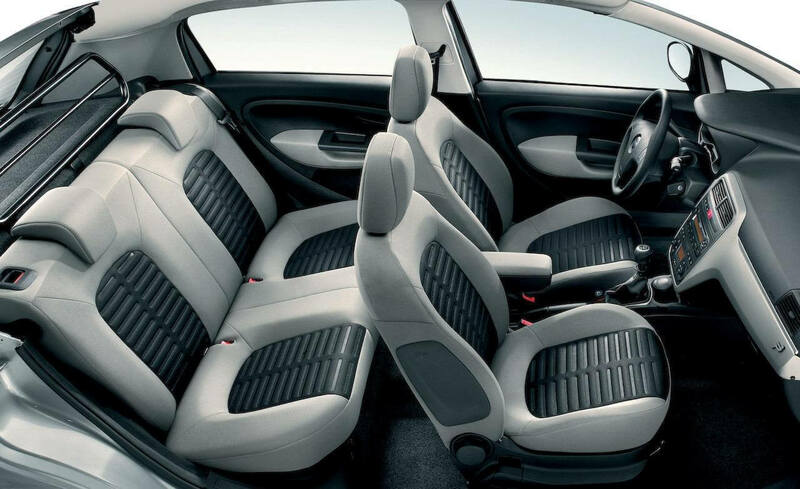 With enough space to accommodate up to 5 passengers, the Punto is an excellent choice for families and small groups of travelers. 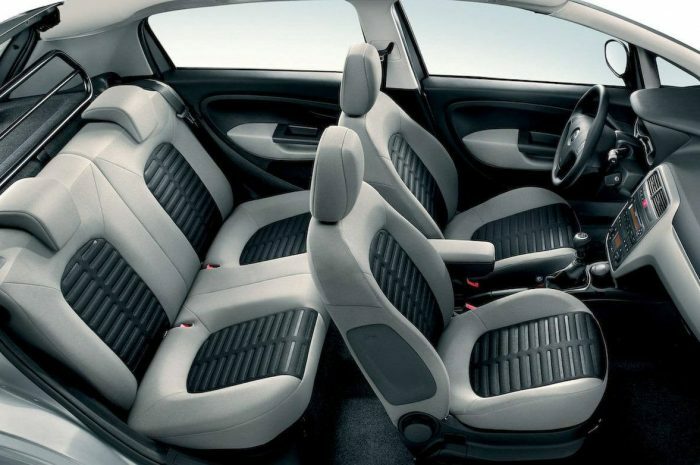 Families with children will particularly appreciate the Punto because, although not a large car, it offers ample space for the children in the backseat. 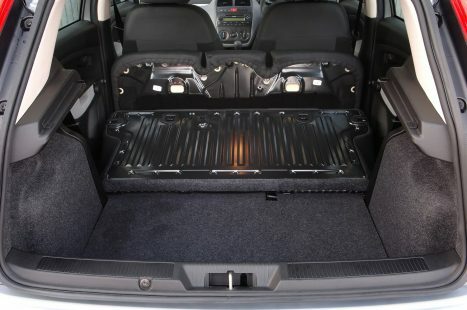 This does not mean that the rear seats can not be used by adults, however, especially if they sit for 3 people behind, it may be somewhat uncomfortable for long journeys. 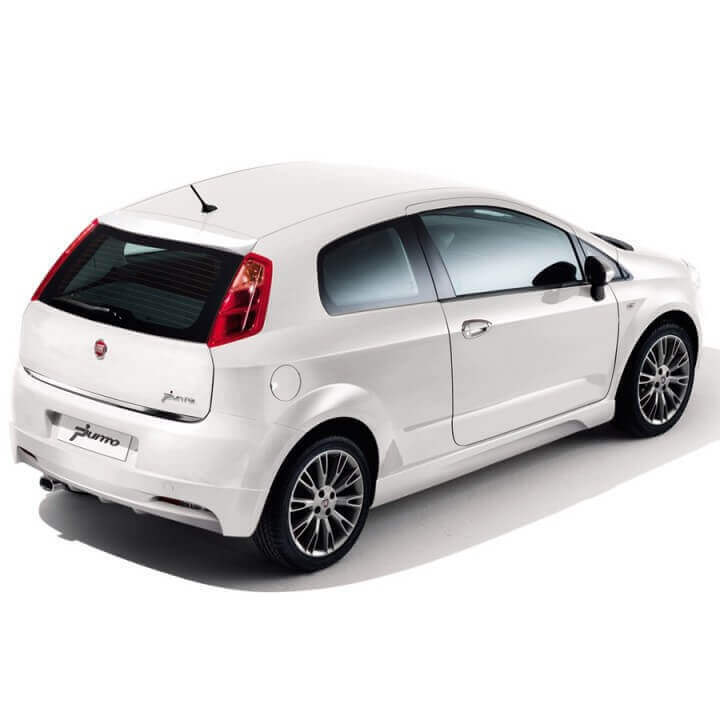 Fiat Punto’s luggage space is one of the largest in its category, offering 275 liters of space in the trunk area. Several space for 2 large suitcases and some smaller ones.